What do you see as a big challenge in technology today? If you were to write down a wish list, what solutions are you looking forward to and what are your expectations from technology providers? The overwhelming challenge we face is to bring together existing technologies, products and services to build an integrated platform to support information needs for quality, cost-effective healthcare. The long-time quest for interoperability remains unanswered. Until that happens, we can make dramatic improvements by “tying together” current applications and capabilities to form a comprehensive whole. My work is to link existing software platforms, available data on population health and provider performance, and medical devices—for example, getting data from remote monitoring devices into an electronic health record—linking the Internet of Things (IoT) with disparate information systems and sources. Organizations have to integrate data across the enterprise to have a 360-degree view of the customer, but it’s not an easy task. What are your thoughts on getting this act right? To optimally manage care, the fundamental issue is knowing the patient’s health history and current condition. But the information is either non-existent or becomes disconnected as patients move from provider to provider, change payors, or receive care in different settings. The need and benefits of interoperability and information-sharing have been known for decades, with multiple attempts at realizing the benefits— CHINs (Community Health Information Networks) and RHIOs (Regional Health Information Organizations) pre-date HIEs (Health Information Exchanges). Financial incentives have been lacking, but emerging reimbursement approaches, such as ACOs (Accountable Care Organizations) and pay-for-performance are finally spurring development. What specific type of technology will give firms in your industry the competitive edge? The competitive edge will come from having actionable and complete information available in real-time to impact healthcare. Of course new medical and information technology—diagnostics, devices, drugs, IT systems, etc.— bring additional tools that can have incredible impact. However, major improvements can be achieved with existing technology, if we can integrate information already available within and across healthcare organizations. Organizations that can understand and deliver cost-effective quality care in a world of shrinking reimbursement will succeed—both as successful companies and in delivering better outcomes for individuals and communities. There are several pain points within the enterprise for which solutions do not exist yet. In your business environment, what are some of the solutions that are not available or not up to the mark, and if available, would have made your job easier? Let me see if I can limit that list to one or two things. One major concern is that the increasing use of data to inform decisions about patient care—data derived from claims designed for reimbursement—may be incomplete or inaccurate. Such data could do more harm than good, for example, by resulting in misleading or incomplete diagnoses. As we work towards technology interoperability we need to understand the limitations as well as the power of existing data. There must several technology trends which you would be observing today. Can you share a few trends that will have significant impact on your business environment and your industry? Trends like big data, social media, mobile, cloud, and IoT are all examples of potential integration and interoperability. The effective use of these tools enables the analysis to provide caregivers and payors the information needed to provide the best care for chronic conditions and for acute care—in other words, either for a hospitalization, for post-acute care, or even better, to prevent an acute episode, what we call “pre-acute” care. Many hospitalizations are avoidable, caused by “information errors” such as medication errors, lack of response to early warning signs or poor treatment for chronic conditions. Many patients in nursing homes and other institutions can be cared for in the home, where we all would rather be, and where costs are lower and life is better. Those who understand how to use current tools effectively will have a business advantage—and, most important, improve the quality and efficiency of care. Can you illustrate how revolutionizing technology is in your work environment? How critical of a role is it playing today? Analytics in general, and analytics tools that are more accessible in particular, enable us to build a more complete picture of the patient. Developing substantial data sets gives us a better approach to patient care than the limited experience of an individual physician or other provider. How is the role of IT changing at your company, and, with it, your role as a CIO? We are changing our focus from managing and developing technology to delivering information across business lines. We’re outsourcing functions that aren’t part of our core, including infrastructure, software development and maintenance. When it comes to information technology, we’re in the process of separating the “I” in “information” from the “T” in “technology.” Our technology goal is to build a powerful, transparent platform to deliver information where and when it is needed. We’re building an analytical engine for our Amedisys care centers. It will provide real-time information to caregivers in order to improve patient care and business performance. Accordingly, we’ve reorganized our IT department’s structure and brought in seasoned professionals to realize this vision. And, it is important to note that this approach is far less costly that the traditional “do-it-yourself” approach; we are decreasing costs while improving the value and impact of IT. Finally, what is your advice to a CIO starting out in your industry? Learn the business. Understand health care—but beyond that, understand that health care is about information. Focus on delivering tools that provide information to providers. Own the strategy but outsource the commodity functions, to vendors who become integrated – —who believe in your vision. Your role is not to build networks and data centers and software, but to provide information that drives better health care for your patients and more efficient operations for your organization. 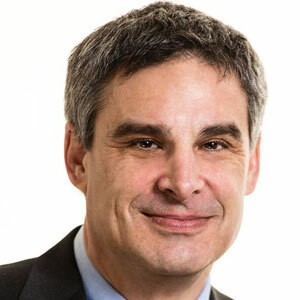 Martin Howard is CIO of Amedisys, a leading health care at home company delivering personalized home health and hospice care to more than 350,000 patients each year.